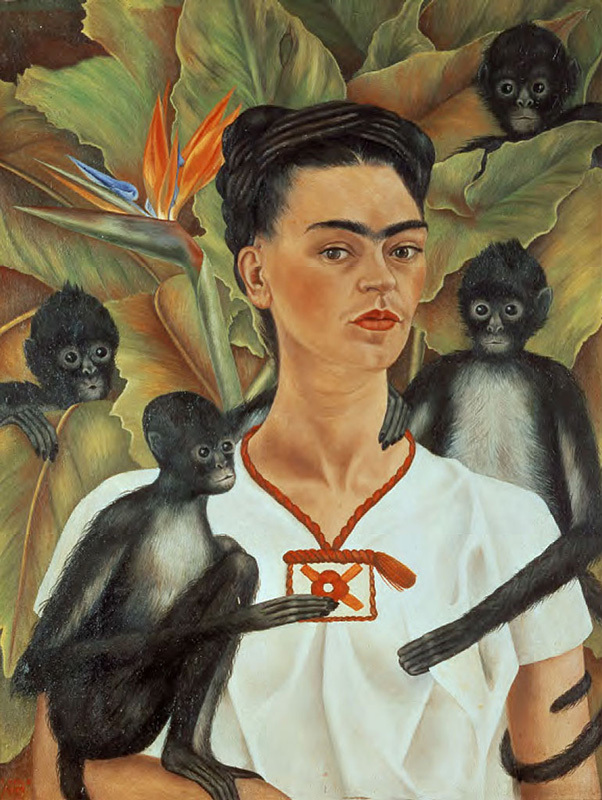 This 3 session course is offered in conjunction with the new spring exhibition, Frida Kahlo and Diego Rivera: the Jacques and Natasha Gelman Collection, on exhibit April 11-August 20, 2017. The ﬁrst Session will look at three of the most important inﬂuences on the work of Frida Kahlo and Diego Rivera: 1.Their Large Pre-Columbian Art Collection 2. The Struggle for Mexican Independence Achieved in 1821, and 3.The 1920 Mexican Revolution. The second session will feature a discussion and analysis of the work of José Clemente Orozco, David Alfaro Siqueiros and Diego Rivera, “the big three” painters of Mexican Muralism starting in the 1920s. Contact Connie Thornton to register, email: conniethornton37@yahoo.com or call: (602) 283-4232. Frida Kahlo, Self-Portrait with Monkeys, 1943.